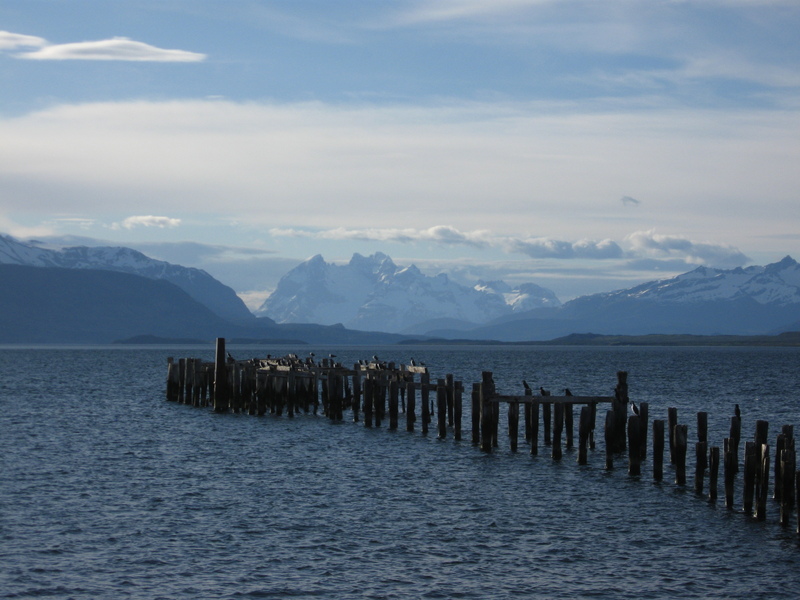 In November 2011 I was in Patagonia with my Dutch friends Angelique and Elwin. Witnessing many eye popping scenes, we often pinched ourselves, saying, “This looks like a postcard from New Zealand!” So in 2012 we made plans to go to New Zealand to find out if we were right. 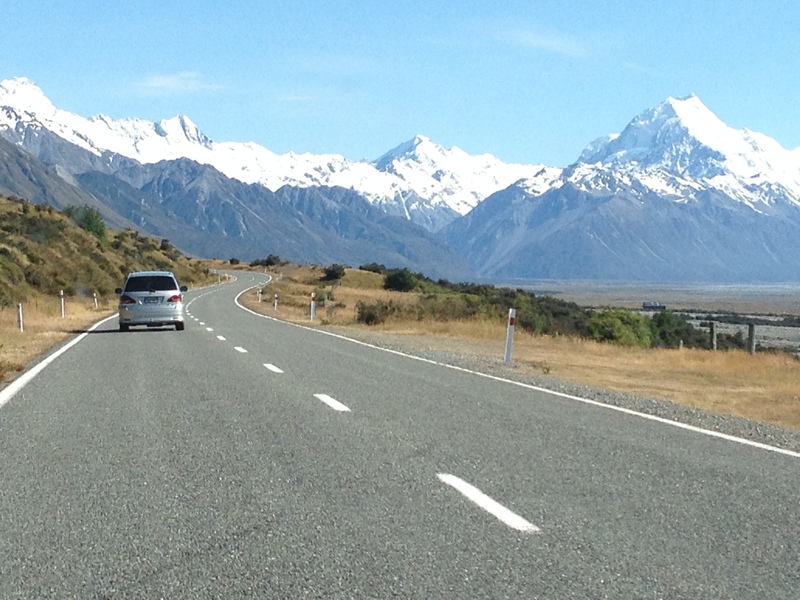 By December 2012 and all of January 2013 we were in New Zealand! And in this blog, I’ve got photo comparisons. While there are major differences in terms of sheer size of the territory and size of geologic features, the view often seems nearly identical. 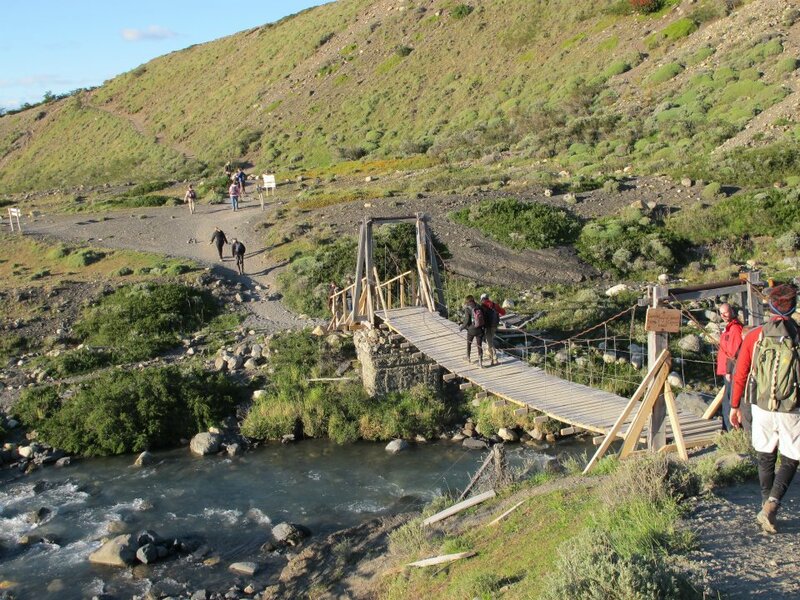 Patagonia and New Zealand are full of trails winding through glaciated valleys. Both have mountain ranges where the western slopes are wetter, with fjords, and the eastern side has landlocked glaciated lakes and the weather is much drier. They’re both subjected to blasts from frequent Antarctic storms. 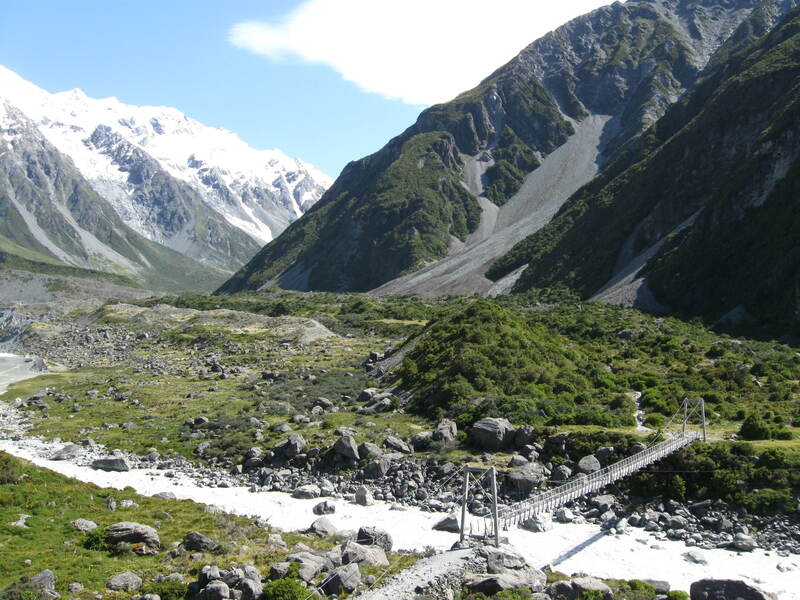 New Zealand’s South Island is especially impacted in a similar fashion to Patagonia. Here are two pictures of gigantic inland lakes. In both regions, ice age glaciers cut deep valleys on the east side and west side. 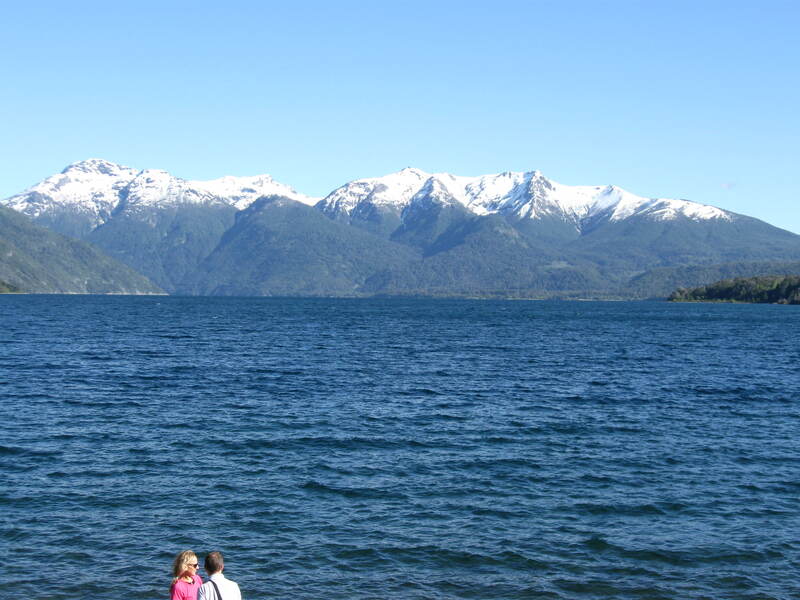 Today both New Zealand and Patagonia have massive inland lakes fed by glaciers. In Patagonia, many of these lakes have ice bergs! On the west side of Patagonia and New Zealand the ice age glaciers carved fjords leading to the sea. In Patagonia these fjords wend their way for more than 1,000 miles. 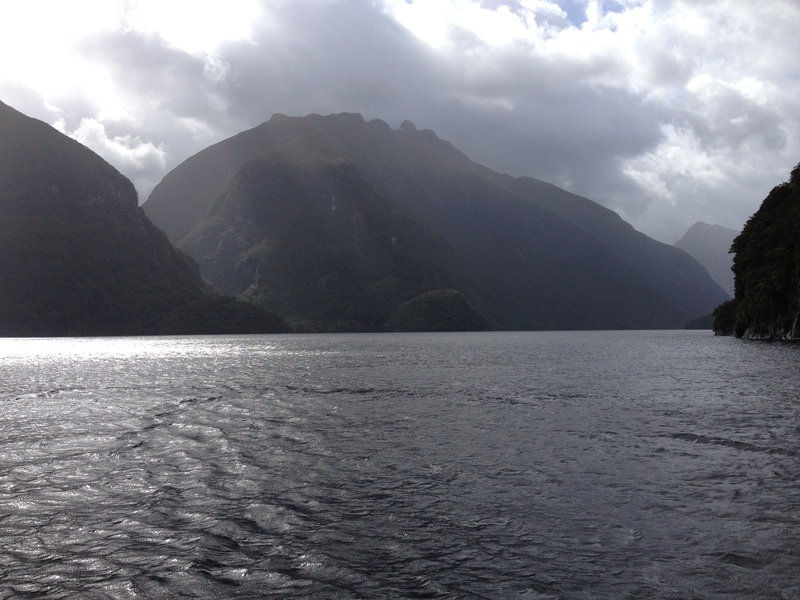 In New Zealand they also form magical vistas. Believe it or not, both regions even have some of the same trees! 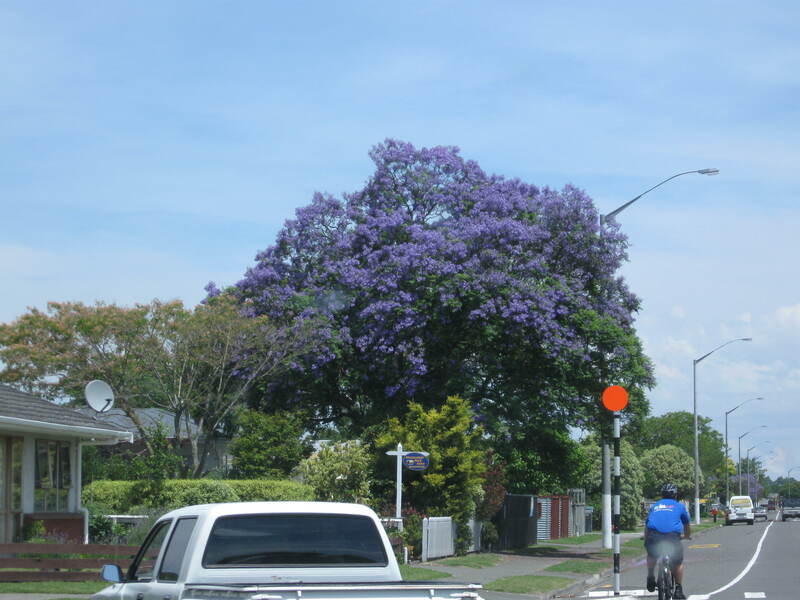 They both just happen to have the purple-flowered Jacaranda tree! 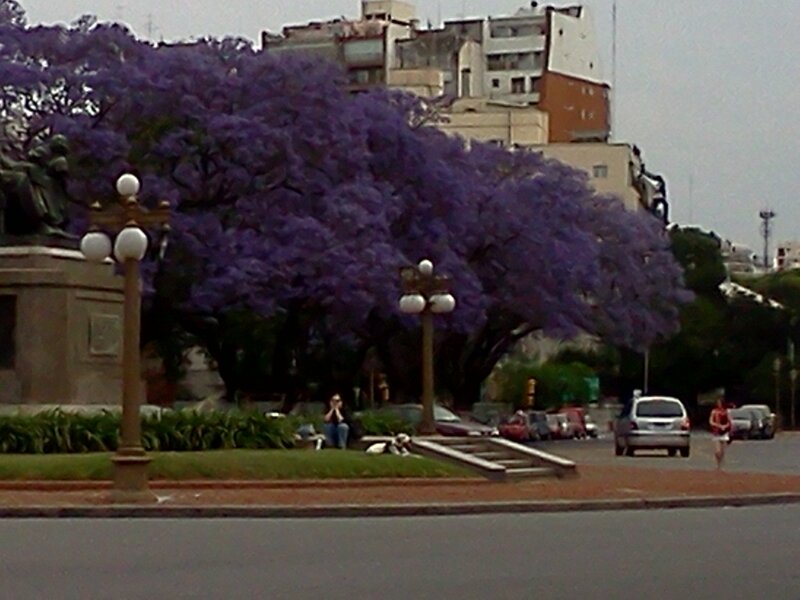 The Jacaranda tree blooms its beautiful purple flowers in spring. They can be glimpsed in drier areas of New Zealand, as well as Buenos Aires, Argentina. So many times viewing a landscape we’d swear we were seeing the other country! 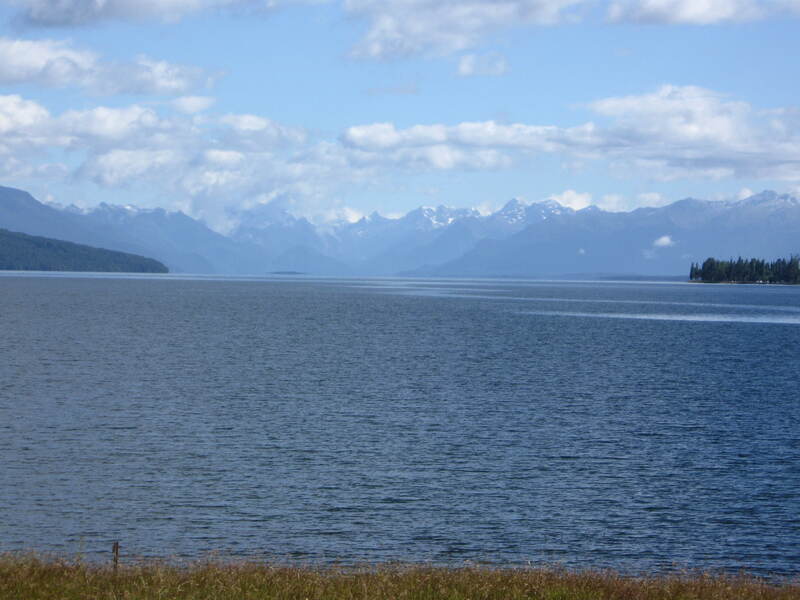 Many of New Zealand’s inland lakes are a light colored “glacier blue,” as are many in Patagonia. And driving through the dry inland valleys, whether you’re headed toward the Andes or the Southern Alps, often times you’d swear you were several thousand miles from where you actually were! 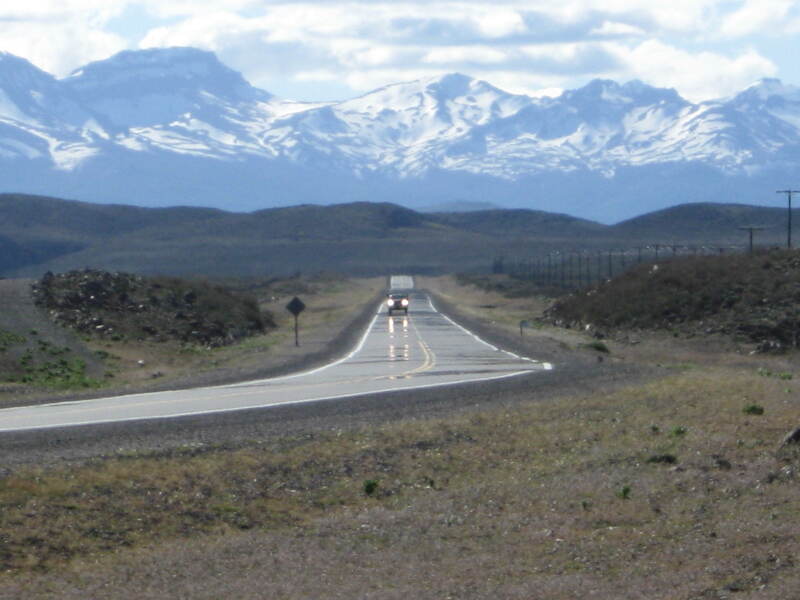 Argentina, heading into the Patagonian Andes – right side driving!